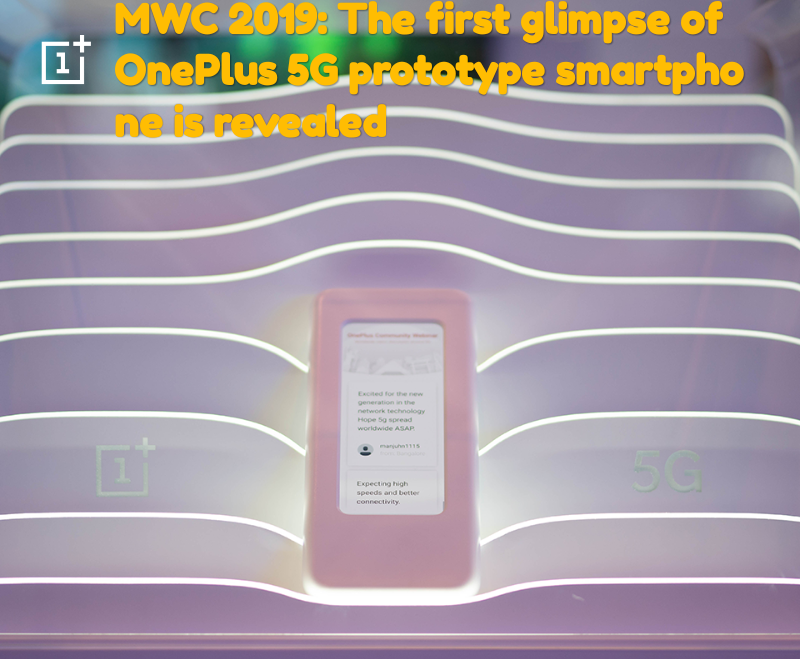 MWC 2019: The first glimpse of OnePlus 5G prototype smartphone is revealed. OnePlus's Smoke In The World Of Smartphones All Variants of OnePlus are quite like people. Now the company took the screen from its first 5G smartphone on the Mobile World Congress 2019. This smartphone will come with the Snapdragon X50 5G Modem for Qualcomm Snapdragon 855 processor and 5G connectivity. The customers are getting very excited about the OnePlus 5G smartphone. The company had said in December last year that it will launch a 5G smartphone by the end of 2019. 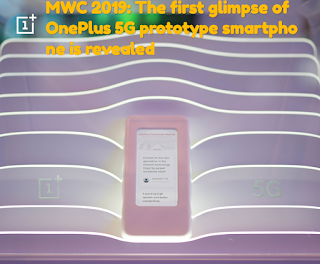 In February, OnePlus had said that it has partnered with Qualcomm to showcase a 5G smartphone prototype during the Mobile World Congress 2019. Explain that the company has not yet provided any concrete information about this smartphone. In the Mobile World Congress, this phone was covered with a large case, due to which there was not much information about its display and design. OnePlus is one of the first companies whose smartphone will get Snapdragon 855 and with this, users will also get Superfast Imaging, Gaming, Intelligence and Wireless Experience.